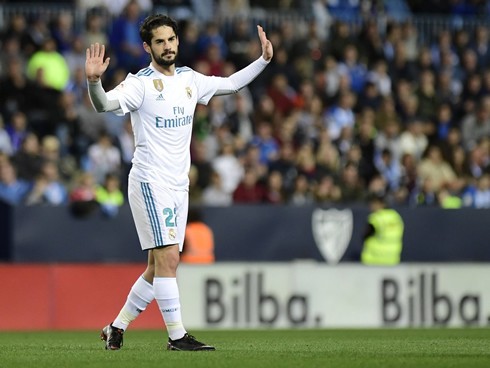 Real Madrid regained the 3rd place in La Liga this weekend, after beating Malaga 2-1 at La Rosaleda thanks to goals from Isco and Casemiro. The Merengues dominated the game even resting several key players. As a whole, Real Madrid moved the ball quite well throughout most of the game. It was a possession-oriented team and with Karim Benzema at the tip of the formation, build-up play was heavily employed. 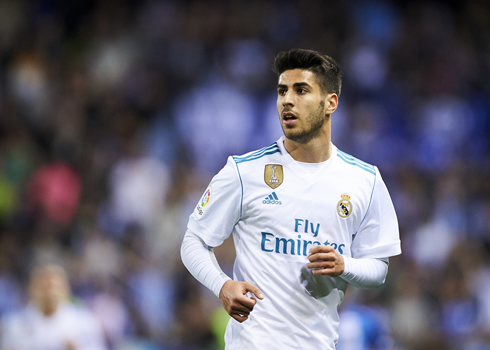 Lucas Vazquez and Marco Asensio provided with, but they were happy to recycle possession when needed and grind the opponents down. A brilliant freekick from Isco put Madrid ahead in the first half. 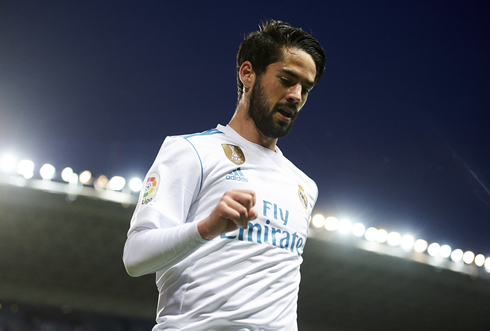 Isco looked happy to capitalize on Ronaldo's absence to score his first free kick in La Liga. The Spaniard opted not to celebrate against his former club, but he was quickly surrounded by his adoring teammates. Real Madrid continued to dominate but found it hard to finish off chances. In the second half, a quick move involving Benzema, Isco and ultimately Casemiro put the game beyond doubt. Benzema's quick feet played Isco through and when the entire stadium prepared for his shot, he simply laid it off to Casemiro for the finish. 2-0 and match secure. Zidane used this as an opportunity to let Dani Ceballos and Borja Mayoral get some minutes and they both did a decent job. 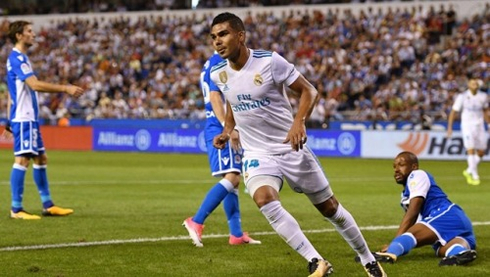 Malaga would get consolation with the last kick of the game, as Diego Rolan was able to make the most out of a Jesus Vallejo mistake, but the job was already done. Cristiano Ronaldo next game for Real Madrid is on April 18 of 2018 against Athletic Bilbao. You can watch Juventus live stream, Real Madrid vs Athletic Bilbao, Celta de Vigo vs Barcelona, West Ham vs Stoke City, Brighton vs Tottenham, and Bayer Leverkusen vs Bayern Munich, all matches provided from our soccer live game pages.